MediaHuman Lyrics Finder is a freeware software application which can help you to find and add missing lyrics (song text) to all songs in your music library. It's a safe operation because app doesn't overwrite lyrics you've already had. Very easy to use: simply drag'n'drop some tracks from your favourite music player (e.g. 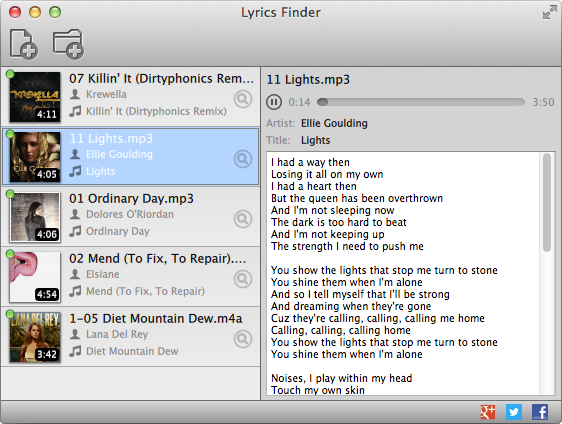 iTunes) and MediaHuman Lyrics Finder will do the rest. With the help of it you will have access to over a million different lyrics collected from various sources on the Internet.